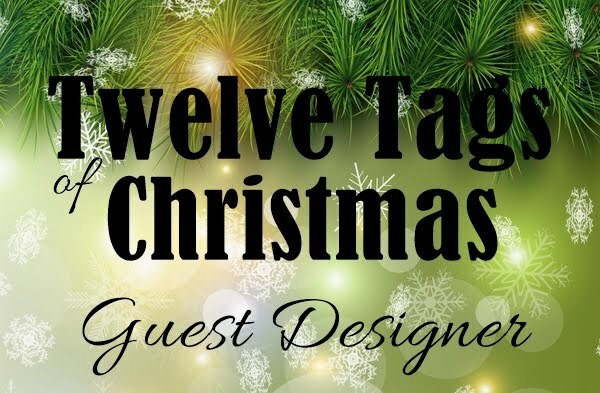 Well, my lovely friends, I am posting this at 01:30 UK time! I didn't finish this card until this evening and then forgot that I hadn't posted it yet, so here it is. 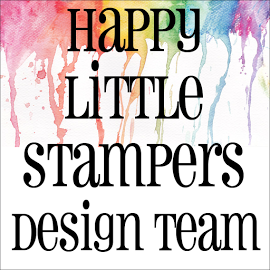 As you can tell by the title of this post, I have been 'playing' with stencils again. Also, this is another card for Pixie's Snippets Playground as the butterfly layers and the sentiment strip were all made from snippets. 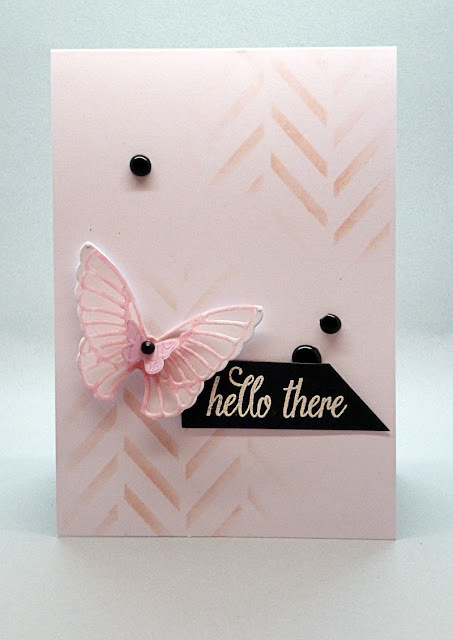 The butterfly was die cut from a snippet of white card-stock and a snippet of vellum, which I coloured on the back with a marker to coordinate with the sponging I did through the stencil and the sentiment was heat embossed on a snippet of black card-stock. I finished off with a few of my home-made 'enamel' dots. Well, all I need to do is now is show you the picture, sign off and go to bed! Thank you so much for popping by and for any comments you might leave, I really do appreciate them all. Goodnight, I'm off now. Have a good evening/day whatever, you are doing! 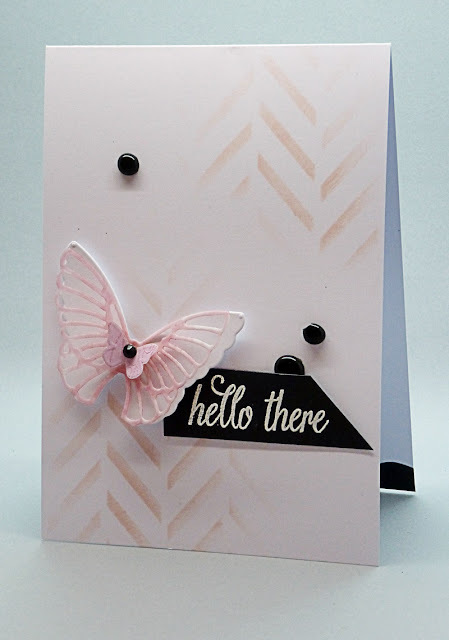 stunning card Hazel - love the colors and layout - this is going to my Pinterest board! It's really beautiful, well worth staying up late for! Love the subtle addition of the stencil Hazel. This is awesome. 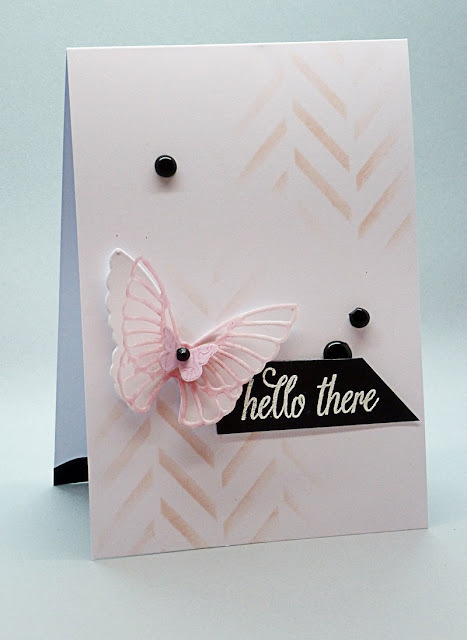 Love the soft look and and the partial stencil pattern! Gorgeous! LOve this so very much, Hazel ... 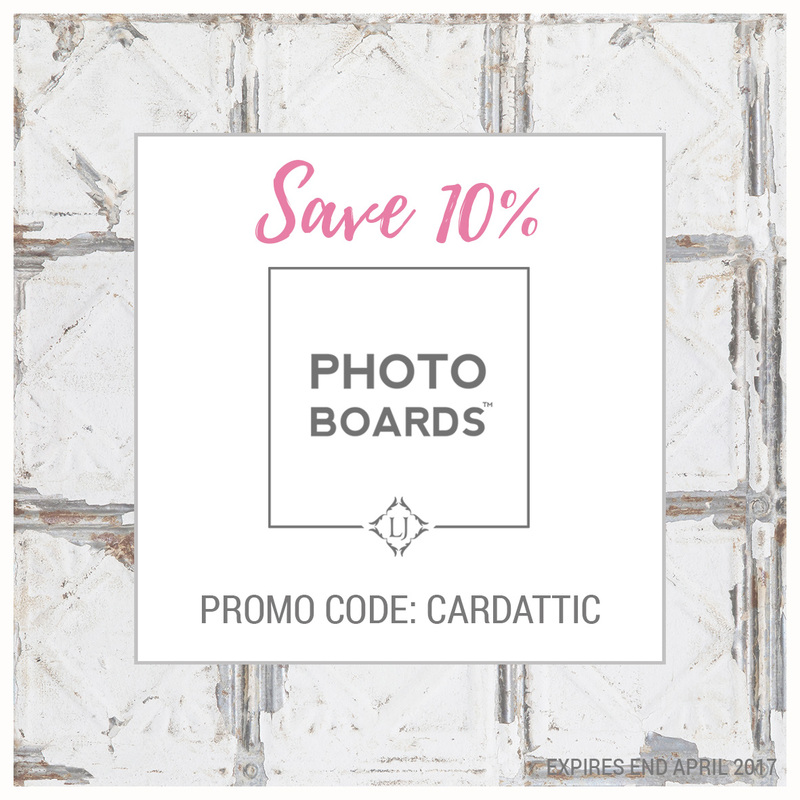 I think a slip, or snippet, of vellum makes everything so dreamy! Beautiful shade of pink! Wow......Hazel..you work well in the wee hours of the night! This is stunning! Gorgeous layer of the butterfly! Love the bit of stencil...so very elegant! Such a delicate and subtle design used to great effect. WOW Hazel - what a stunning card. 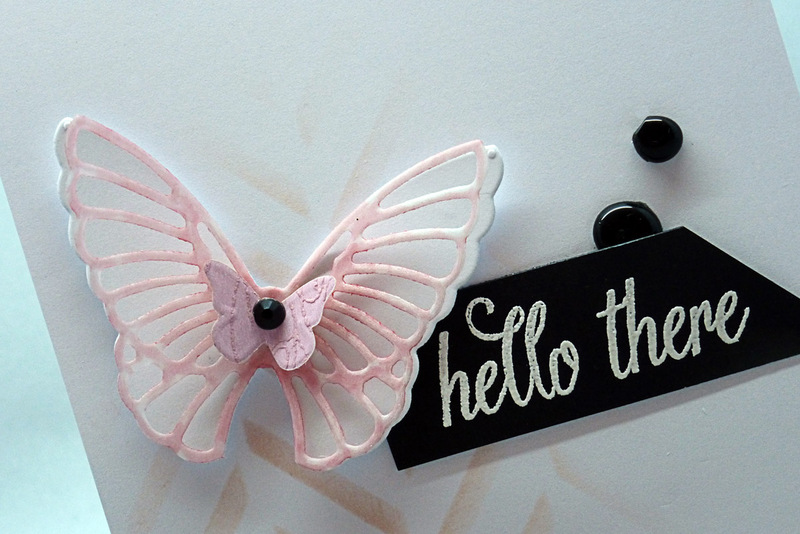 LOVE the soft pink and black, subtle inking, beautiful sentiment and the butterfly is lovely. Great idea to top it with the small one too! And of course the enamel dots are fabulous - tee, hee, my beads arrived here yesterday. I keep peeking at them and will certainly play when I have time! This is so classy with the soft pink and black! What a beautiful butterfly too! Awesome, Hazel! This is gorgeous. As Miss di will tell you I love pink, I adore butterflies and would love it if you came over to my inky butterfly challenge. Hugs Mrs A. Saw this over as a Playground highlight, and recognized it as your work! Too, too beautiful. Such lightness in the colors & design, and the wonderful butterflies. 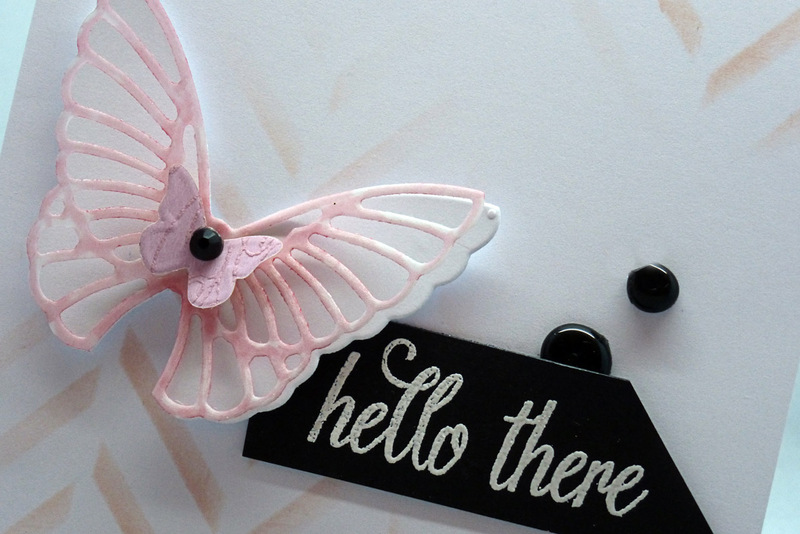 A terrific use of your snippets and some gorgeous pink lovliness. Well done! TFS & Hugs.